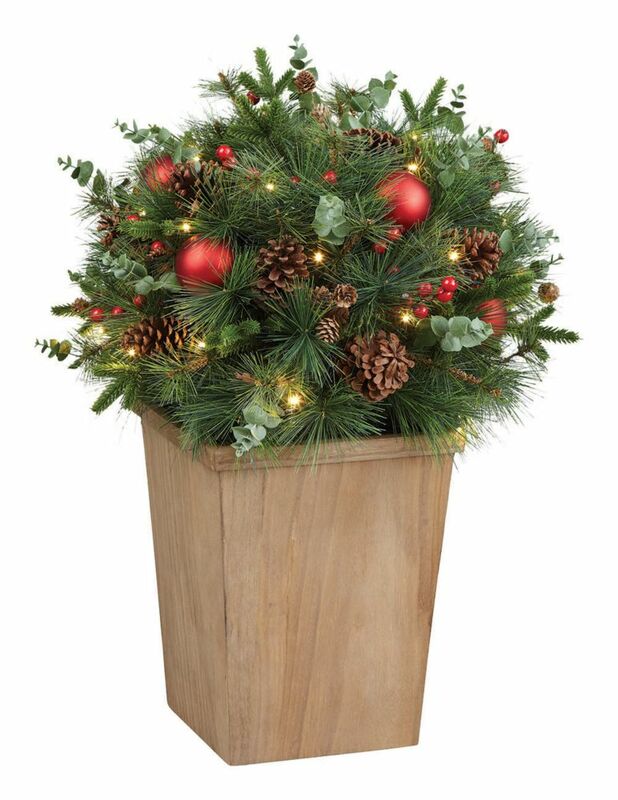 33"Battery Operated Floral Pre-lit Potted Tree. Portable Seasonal decoration for the Holidays. Can be used in the entrance way or add to your living room to make a seasonal statement. Use this gorgeous lighted pine cone topiary tree for a dramatic touch to your next party, anniversary, holiday, wedding celebration or center piece. Ideal for indoor use and a great gift idea for anyone. 33-inch Floral Pre-lit Potted Tree (Battery Operated) 33"Battery Operated Floral Pre-lit Potted Tree. Portable Seasonal decoration for the Holidays. Can be used in the entrance way or add to your living room to make a seasonal statement.